JSC KUZNETSOV TO TAKE PART IN MAKS-2011 | JSC "Kuznetsov"
Samara. 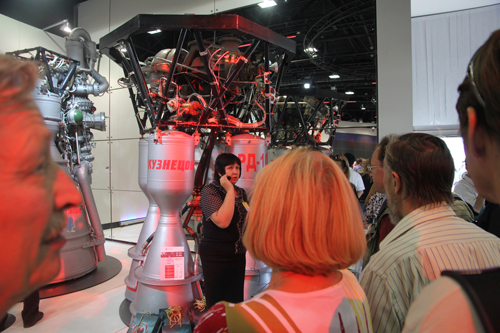 August 22, 2011 — JSC Kuznetsov (member of the United Engine Corporation) presented its rocket engines and conducted a raft of negotiations on business cooperation at the 10th anniversary International Aviation and Space Salon MAKS-2011. 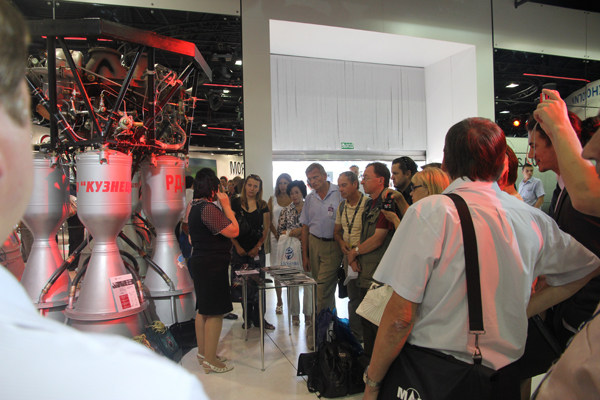 The NK-33 and RD-107A/108A rocket engines presented by Kuznetsov at MAKS-2011 as part of the United Engine Corporation’s exhibition drew real interest from both specialists and the wider public who visited the aviation salon on August 16-21 held in Zhukovsky. 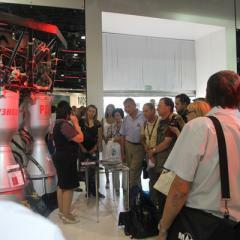 Particular attention was paid to the NK-33 engine, taking into account the winding down of the Space Shuttle program. Despite the fact that it was originally created for the „lunar program”, the NK-33 still meets modern requirements for space exploration. 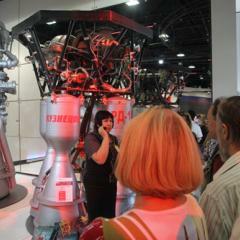 The undisputed leader in terms of public interest throughout the exhibition was the RD-107A/108A engine, fundamental for the Russian space program, which has been, and continues to be, used in 100% of manned flights. In order to meet the demands of the Russian Space Program developed up to 2020, JSC Kuznetsov is planning to double production of this engine. The investment projects to organize at UEC’s Samara facilities mass production of the NK-33 engine and expanded assembling line for the RD-107A/108A, as well as re-establishment of production of the NK-32 and NK-4-140 aviation engines, were presented within the presentation of the Samara Oblast aviation and space cluster. 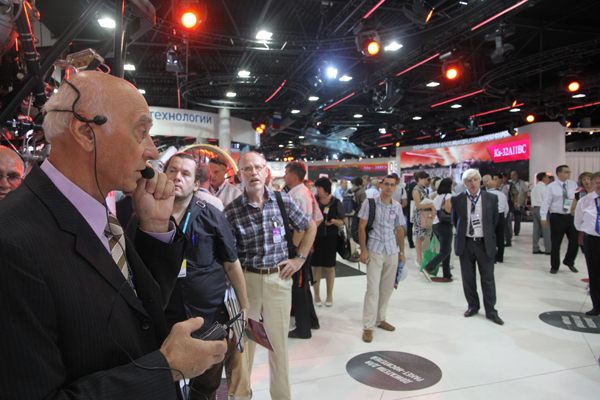 Building cooperation on these projects was also the main issue of negotiations between Kuznetsov managers and specialists and other exhibition participants. As a result of these negotiations, partnerships are planned to be set up with one of the Ukrainian companies producing fuel-regulating equipment (for the industrial engine production program) and with a Swiss company producing machines for working of blades and gears (for the aviation engine production program). 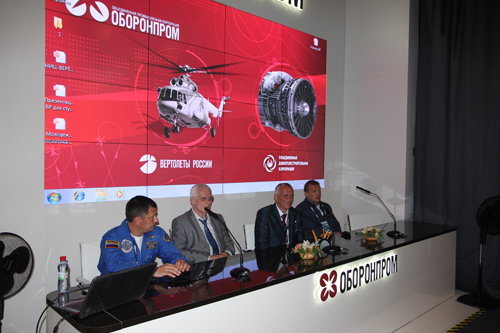 Within the framework of the preparation programs for production of the NK-33A (a modification of the NK-33) engine, meetings were held with Russian research institutes — OAO Research Institute of Physical Measurements and OAO NPO IT (Public Joint-Stock Company Scientific Research & Production Corporation of Measuring Equipment). Cooperation with both of them is anticipated, including working on the NK-33 engine testing for Soyuz 2-1v light-weight rockets. 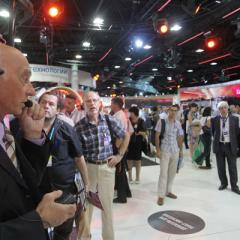 During MAKS-2011 a meeting was held with young designers from JSC Kuznetsov and distinguished Russian test pilots. 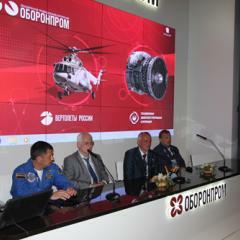 Pavel Vlasov, head of the Gromov Flight Research Institute, Mikhail Belyaev, test pilot, and Sergei Bogdan, Hero of Russia, test pilot, who was the first to take the air on the new craft of this year’s MAKS, talked to the young specialists about their work and what they need from a modern aircraft.